There is something whimsical about a pearl. 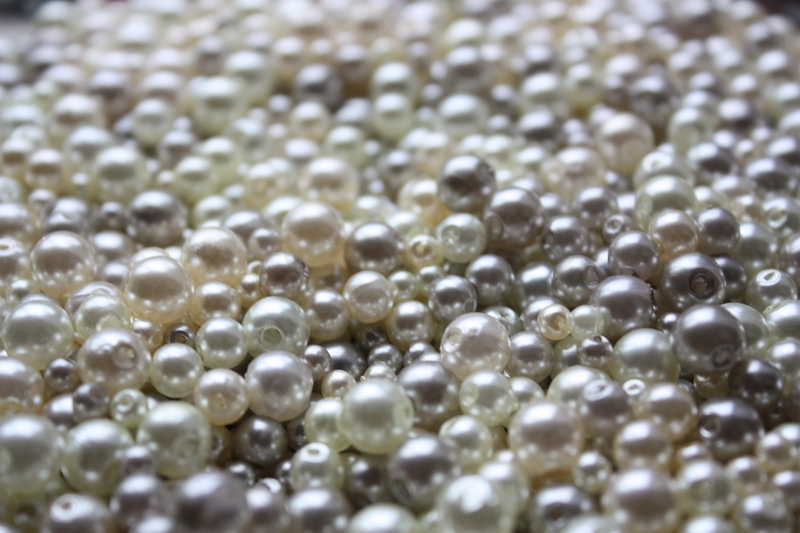 Its luster and beauty is striking; especially when you think about how a pearl is formed. It’s the only gem stone that doesn’t come from the earth but from the sea. A tiny bit of sand or shell irritates an oyster and if it can’t be expelled the oyster starts a process to make it tolerable. So like a true optimist, the shellfish coats the irritant with nacre that it produces to make the object smooth, as long as the object remains in the oyster it will continue to be coated; thusly is a pearl made. 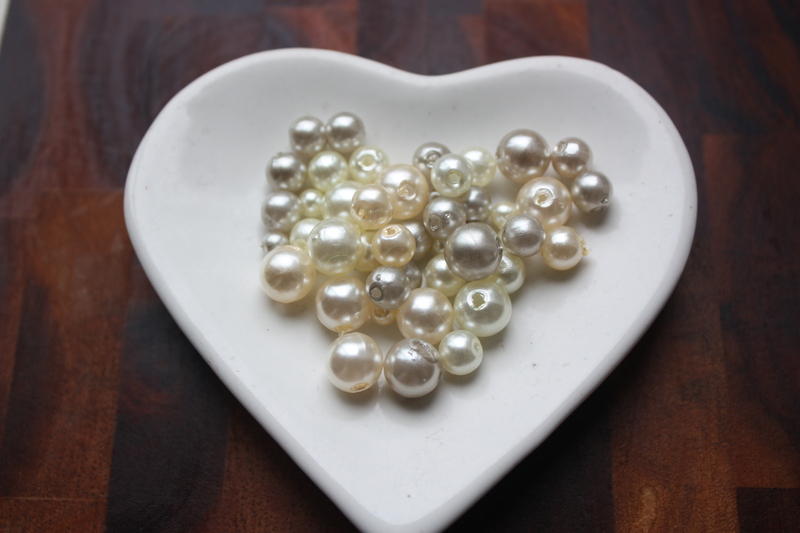 Perhaps it was Anne of Green Gables… no it was definitely Anne who instilled my love of pearls. They are my analogy for life, when things get irritating just make them into something with polish and sparkle, smooth them out and turn that irritation into something beautiful! 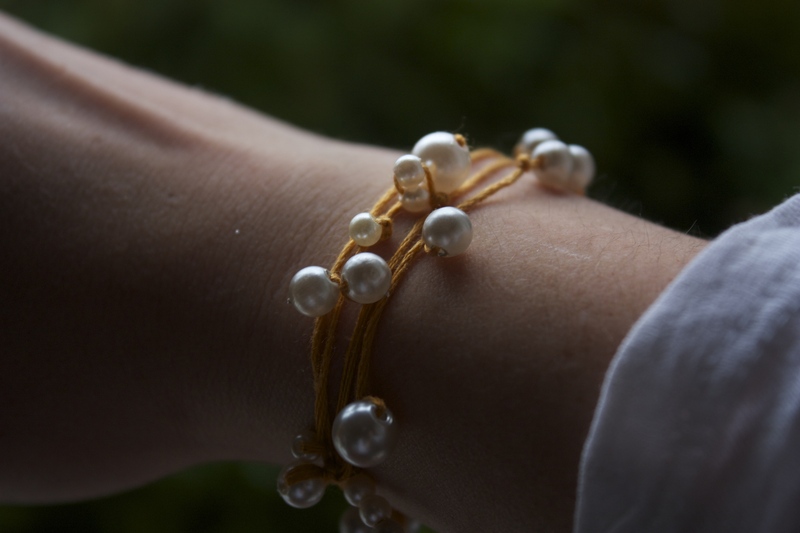 These easy bracelets remind me of the friendship bracelets of my childhood with a grown-up twist. After having spent an epic weekend in San Francisco with two of my best girlfriends I wanted to send them a little thank you note and small gift and these bracelets are perfection. It was so healing to see my girlfriends, to completely immerse ourselves in each other’s company. We laughed so hard our stomachs were sore, indulged in meal after glorious meal, explored the city, took a midnight trolley ride to the end of the line, visited the haberdasher all walking out with new hats on our heads and hat boxes on our arms, and danced the evenings away to our heart’s content. But all too soon the weekend came to an end, the joy and the sorrow of live, the ebb and flow continues. 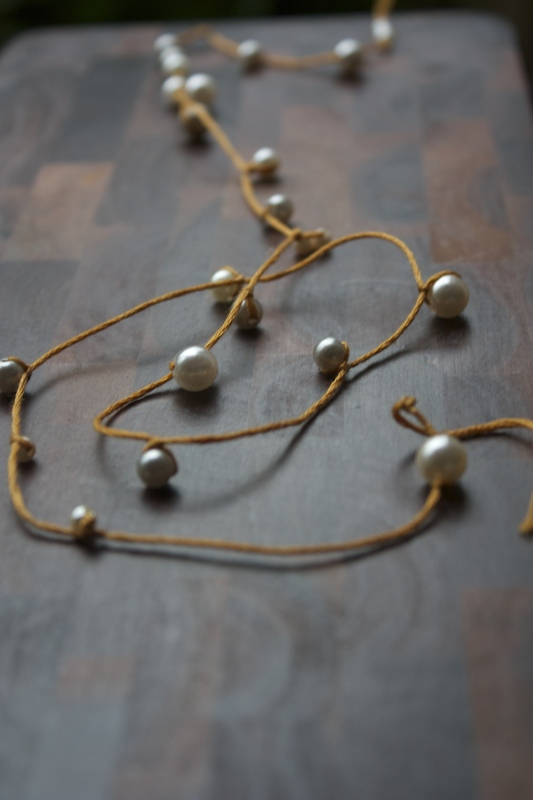 So make a wish, tie on one of these Thread and Pearl Bracelets and let it remind you to accept the sorrow of life with its joy. I love to entertain, to create things from scratch, come up with new ways to do things and sharing how easy and simple it all is! I'm a baker, a maker, a cooking innovator, a cleaner and a dreamer and one great entertainer! I hope you will join me and together we can cook up some fun!